Your custom engraved logo or wording to fit within an area no larger than 2" x 2". Depth of engraving is 3/16" deep into high quality magnesium to provide you with thousands of marks into leather. Can be used with a press or hit with a hammer. 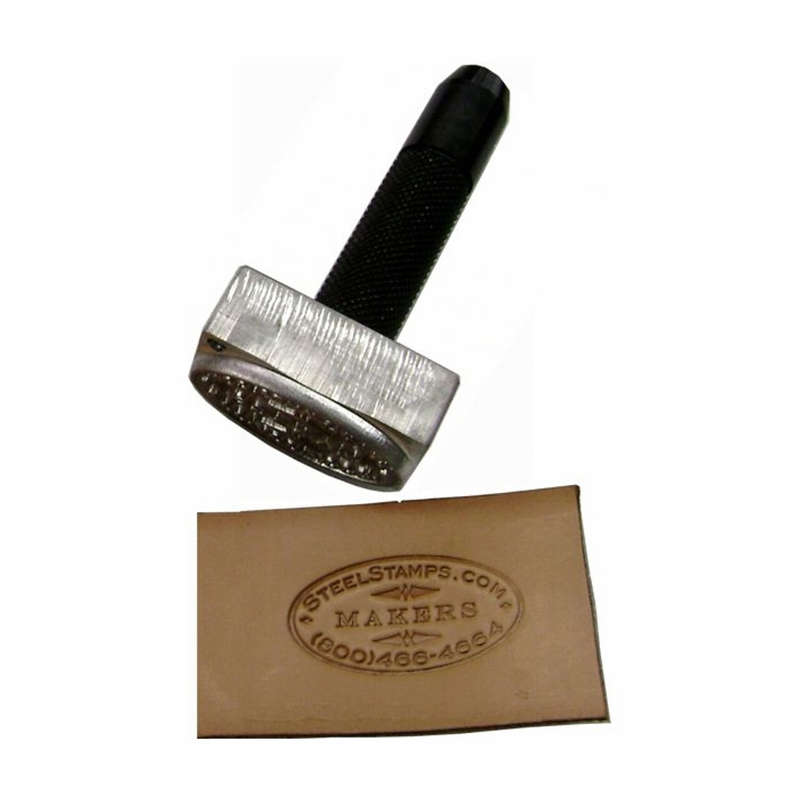 Stamp is provided with a removable steel handle for striking with a hammer. Remove the handle when using in a press.